Getting you the support you need to survive this crazy journey called motherhood. Expert interviews. Real mom stories. Tools & resources. Community. Interviews with experts on a wide variety of topics affecting all areas of being a mom in today’s society – from health, safety, discipline, and education for the kids to self care, exercise, and spirituality for mom. Break down the Facebook facades and hear about the real struggles, joys, and fears about motherhood. E-books, online courses, questionnaires, and more – tools and resources to do help you make positive changes in your family’s life. 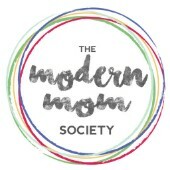 Join our Facebook Community to connect with other real moms to commiserate and celebrate the ups and downs of motherhood and get the support you need to enjoy the journey. We value your privacy and promise to never spam you! Are you an expert with some wisdom to share with the mom community? Want to be a featured Real Mom? I’d love to hear from you!